We’ve had some warm and sticky weather here in New York City since the Memorial Day weekend, so I thought it was the perfect time to remind everyone about the importance of staying hydrated. I often talk about the fact that the human body is an amazing machine, but it’s important to remember that machine is made up of two-thirds water. Like anything else, if you want the body to keep running properly, you need to give it what it needs. Think of it this way: the body can go for a long period of time without food, but can only survive for a few days without water. Drink 16 oz of water two hours before exercise. In warmer weather, you can add an additional 8 – 16 oz. During exercise, drink 20 to 40 oz for every hour of exercise. If you exercise for more than 60 minutes, you can re-hydrate with a sports drink containing up to 8% carbohydrate to replace both fluid and dwindling muscle glycogen stores. When exercising for 60 minutes or less, water is best. (My personal choice). Here’s how I rationalize that last point: If I’m pressed for time and can only squeeze in a 30-minute elliptical session, I’ll burn up to 340 calories. During that time, if I guzzle a sports drink like Gatorade or Vitamin Water, I’ll consume 125 calories. So I walk away from a shorter than normal workout, and I’ve only burned 215 calories. That is not the post-cardio high I was looking for! I realize some people simply can’t stand the blandness of water and need a little flavor. Luckily, there are lots of zero-calorie flavored water options available. Remember, having a flavored drink with zero calories (or 5 calories if you add one of those flavor-crystal packets to your water bottle) is better than NOT drinking anything at all. In the end, raising a water bottle to your health is an easy way to have fun, be fit and feel fabulous! 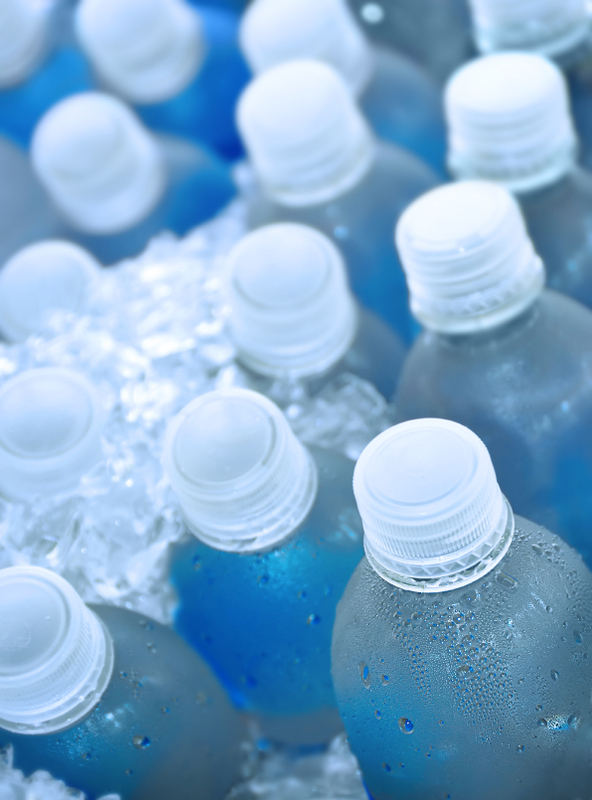 Posted on June 1, 2012, in Fitness, Health, Nutrition and tagged ACSM, Drinking Water When You Exercise, Effects of Dehydration, Hydration, Laura DeAngelis, Personal Fitness, Sports Drinks. Bookmark the permalink. 4 Comments. Absolutley we put all that hard work in the gym why sabatoge all the benefits by drinking unwanted calories! Why not drinnk the all natural H2o that God intenteded us too drink and reap nothing but rewards! My point exactly, John! There are also more fun things to save the calories for! Have a GREAT weekend! My fav are the Propel packets. I dump them in a old Gatorade bottle and let them chill while at the gym or mowing the lawn. Thye last about 3 seconds when I get home. I hate filling my trash can up with all the plastic bottles so I resue them with the help of a water filter…and the Propel. Thanks for the idea! I’ll have to pick some of those up and add ’em to my water bottle at the gym. Hope you had a great weekend!